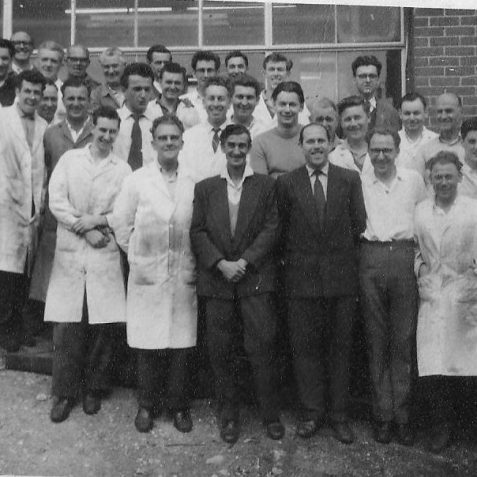 I worked at the Kemp Town location of CVA, until the move to the Hollingbury Industrial Estate, from 1949 through 1962 (with break for military service in the R.A.F. 1952-1954). I remember the smallpox outbreak; I was in the planning office at Kemp Town, when the head of the office got a phone call informing him that his daughter (or grand daughter) had been in contact with someone with or carrying smallpox. I think it was her husband or boyfriend in the R.A.F. who had just returned from the far east. Anyway, we were all restricted to the office until the health department sent out people to vaccinate us. I think the whole factory was done, even the town and maybe the whole country. I hope that I have got the facts straight. It happened such a long time ago, circa 1950 I think. old timers will see themselves and it will bring back some memories. 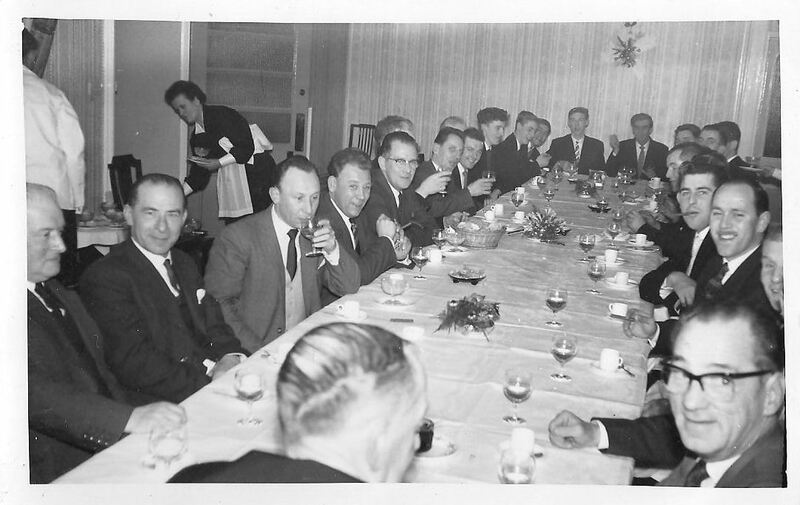 Two of the photos are at a Christmas dinner that I arranged at the Royal Albion Hotel (not sure of year). I was on the No 2 factory sports & social committee. One photo of myself (on left ) and Geoff Berry. One of my last day at CVA with the lads from the tool room (No 2 factory, Hollingbury). 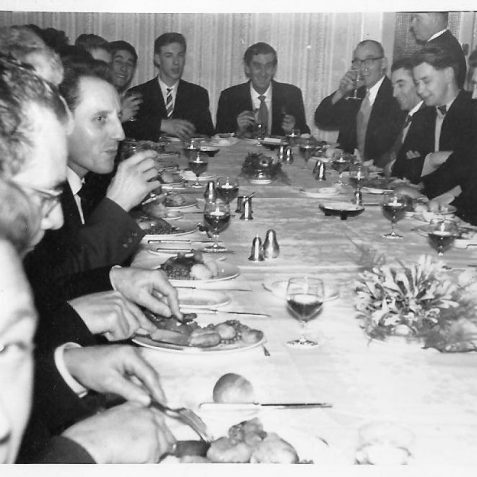 Alan Bundy is the only one I recognise, seated on the right 4th one in from the right. I worked with him in the 1970s and 1980s. 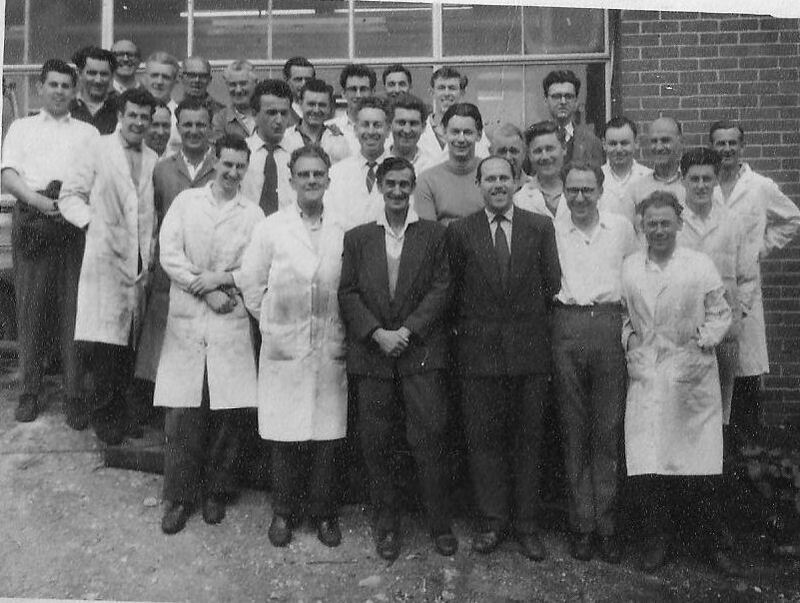 Does anyone remember my father – Charlie Gladwell – who worked there? 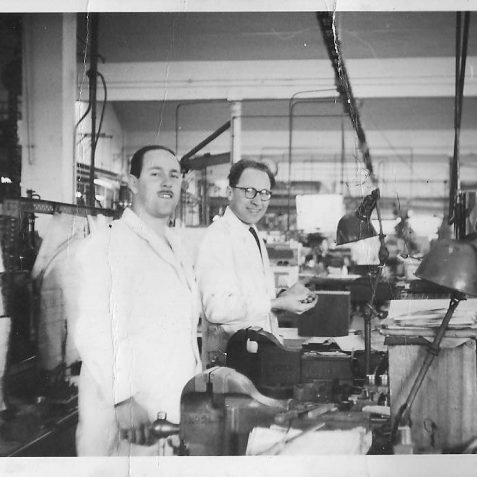 My Grandfather worked at the second factory in the ‘Tool Room’. His name was Fred Bray-Cotton. Hi Henry (John), I think you have got the story correct about the smallpox outbreak, and the whole factory being held in isolation whilst health officials carried out tests and vaccinations. 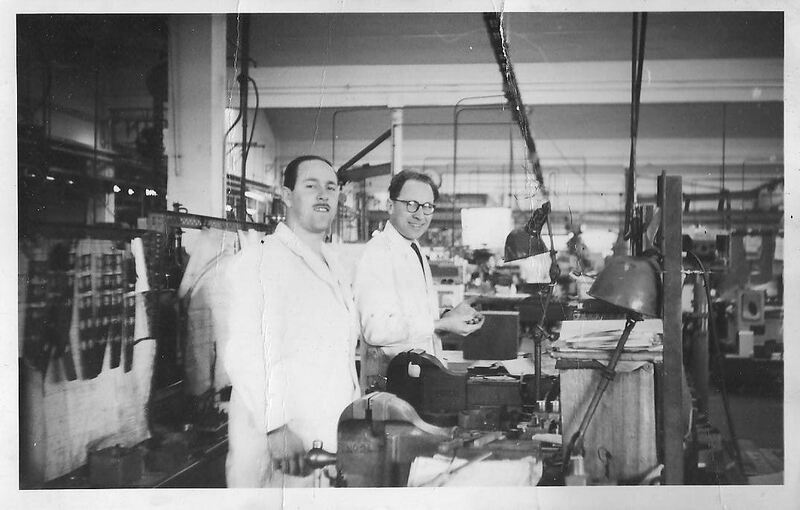 I was told the same story by Les Roberts who worked in the Kemp Town factory after the war, c early 1950s. Searching the web for Milwaukee drills, I seemed to follow various links which lead me to Kearney and Trecker / CVA where my tool maker father worked. His photo is the second left – George Pettit. 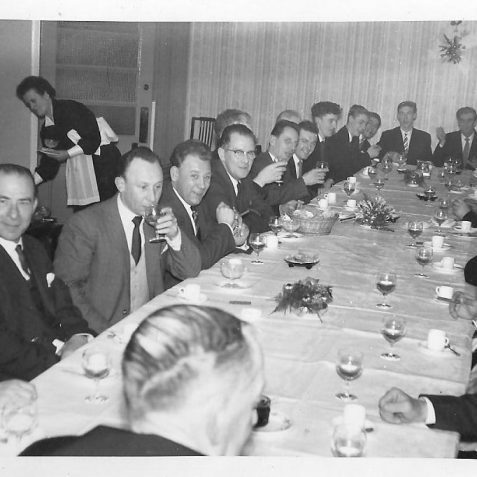 My father, Jim Trangmar, was an inspector at Kearney and Trecker, he left in early 1970. Might be a bit after the dates mentioned here. Is that the same Jim Trangmar who sadly passed away in September 2015? If it was, I knew him from the Brighton Trades & Labour Club. He was a very pleasant person. My father Dennis Bayford worked for Kearney and Trecker for 50 years until he retired around 1982/3. He sadly passed away in 1984. Does anyone remember him? My name is Derek Coppard the pages have stirred a few memories. I started with C V A at Bedford St Kemptown moved to Hollingbury no2 when it opened. Foremen I can remember Ted Gilbert Ernie Vynal. Jimmy Gental. Lionel Hinkley, Ron Walsh. 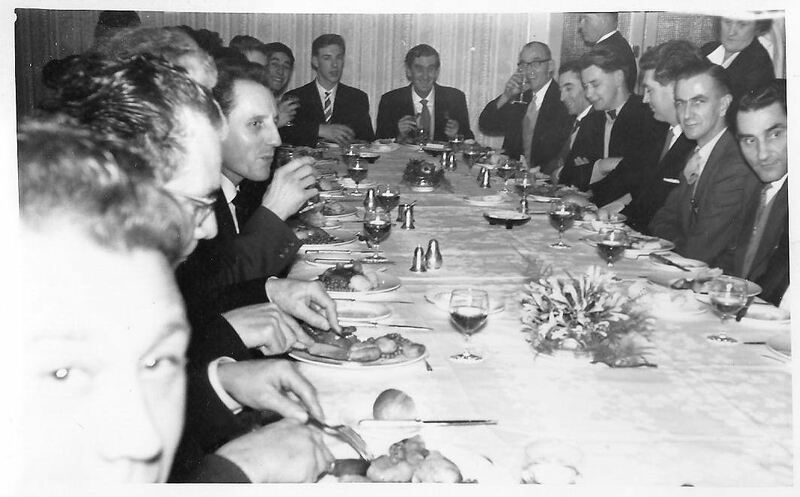 Worked with Ernie Took, Harold Goodman, Dave Taylor, George Solly was manager no 6. Hope this, in turn, stirs memories. My father in law worked there bur not sure what year, would have been 60s.